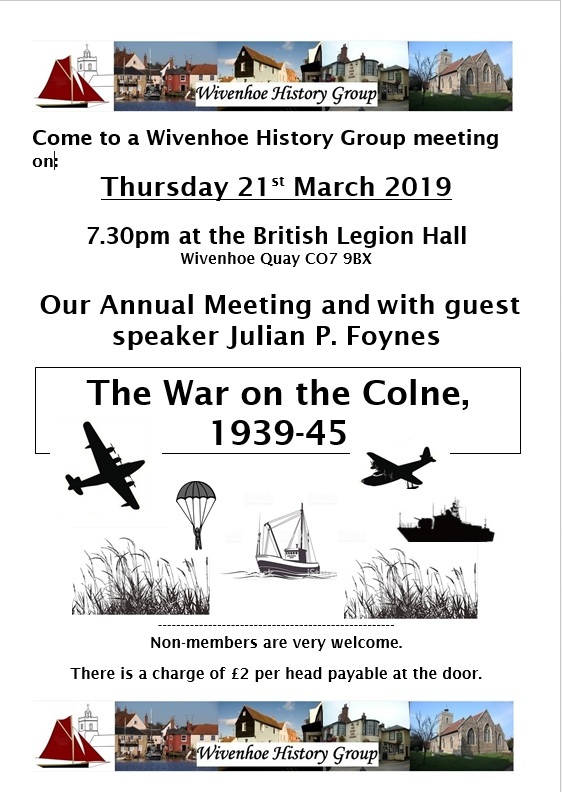 As well as a short annual meeting to receive a Treasurer’s report and elect officers and a committee for the ensuing year, we have invited Mr Julian Foynes to talk to us that evening. 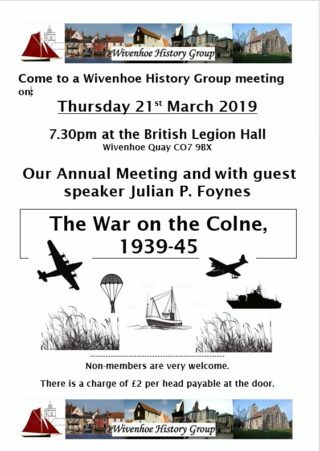 He will give an illustrated talk entitled the War on the Colne 1939 – 45. Julian Foynes is very knowledgeable about the history of this part of Essex. I am sure it will be a very interesting talk. As is usual, this meeting is open to everyone. It will be in the Royal British Legion Hall which is on The Quay. Please note that there is very little on-street car parking in that area. The Public Car Park is opposite the Greyhound PH just a few minutes walk away. Non-members are very welcome at this meeting. There is a £2 charge payable at the door to cover our costs. We look forward to seeing everybody at this meeting. This page was added on 21/01/2019.